Cold temperatures mixed with California sunshine, high altitudes, and physical activity can make dressing appropriately a challenge. Layering your clothes is the key to a successful ride in Lake Tahoe — no matter what the temperature ends up being. When packing, break your winter clothes into four main categories: a base layer, a middle layer, an outside layer, and your accessories. Base layer. This layer goes under everything and should be lightweight and keep you warm. Avoid cotton and go for moisture-wicking materials that will help keep you dry throughout the day. Middle layer. For this layer, you want clothing items that keep you warm but are easy to get on and off as the temperature fluctuates. Think fleece zip-ups, vests, and light jackets. Outside layer. This is where you want waterproof or water-resistant and insulated gear, including a jacket or parka and ski pants. Your jacket or parka should be long enough to cover your back and bum and prevent skin exposure and snow from getting down your pants should you wipe out on the slopes. Accessories. These are the finishing touches of your ensemble. You’ll likely want a scarf, hat or winter headband, and gloves. We recommend touchscreen-compatible gloves so you can use your electronic devices without having to expose your hands to the cold. Of course, a successful trip means you need quality gear, including boots, a helmet, poles, skis, or a snowboard. For that reason, we obviously needed to include it on this list. Quality ski gear is expensive. Many spend hundreds, if not thousands of dollars. If that’s not in the budget or you don’t spend a lot of time on the slopes, it may make more sense to pay the daily fee for rentals — usually $25-$50 per day. For avid skiers, purchasing may be more cost-effective in the long term. Kids grow quickly, which means they’ll likely outgrow their boots, skis, and other gear before the next winter season. With that in mind, it is generally cheaper to rent gear for youngsters, especially if they’re not frequent skiers/boarders or trying it for the first time. There’s nothing better than a good fitting pair of boots. While rental locations may have options, they may not fit as well or be as warm as ones you purchase yourself — which can lead to discomfort and even injuries. You’ll be spending a lot of time on your feet during your winter trip, so we often find that boots are worth the investment. Just because it’s not summer doesn’t mean the sun isn’t shining! The cold weather can be rather deceiving and cause many skiers to forget to pack and wear the necessary skincare products. However, even when it’s cold, remember that you’re spending a good chunk of the day outside on a (hopefully) nice, sunny day. Protect yourself and your loved ones against harmful UV rays by wearing sunscreen on exposed skin (especially faces) while you’re out on the slopes. Along the same lines, spending time in the cold winter wind can also cause wind burn and chapped cheeks and lips. A good moisturizer or moisturizing lotion can help keep your skin hydrated throughout the day and prevent any discomfort. Same goes with packing some chapstick for your lips and applying it throughout the day. Oftentimes you can kill two birds with one stone by finding a high-quality moisturizer and chapstick that also have SPF protection as noted above. These nifty little packs are relatively cheap, easy to pack, and come in handy when spending time outdoors. Keep some handy in your pockets for a little extra warmth during the day. They’re great for when you’re taking a break or riding the gondola. If you plan to bring your phone or camera out on the slopes with you, we recommend investing in a good waterproof case to help protect it. Your smartphone can easily fall into the snow and get wet, leading to water damage and costly repairs or replacement. Plastic zipper bags also work in a pinch, but offer much less protection. While we’re on the subject of electronics, we also recommend finding a case for your camera or phone that allows you to add a strap. While it may seem like overkill, we’ve seen a lot of expensive electronics get dropped from ski lifts or hit the ground when someone loses their balance on the snow or ice. A strap can come in handy when your smartphone or camera accidentally slips through your gloved hands. Also, don’t forget to throw those chargers and a power strip in your bag as well. That way everyone can easily get charged up after a long day on the slopes. Make sure you have all the essential items with you. Many basic grab-and-go items can be found at our snack and sundries shop, but there are certain irreplaceable items you won’t want to forget at home — like medications, credit cards, and important travel documents. Double check that you have them before heading to Lake Tahoe! Check all rules and regulations. Every airline, car rental, and hotel is a little different as far as what they do and do not allow. Read through all the TSA regulations and other rules to make sure that your luggage and items all meet specifications to avoid any hassle during your travel. Don’t hesitate to contact for specifics about traveling and storing skis. While generally available on site, buying snacks and toiletry items ahead of time can save you money. Consider easy to carry, non-perishable snacks that you can take out on the slopes with you, like nuts and granola bars. If bringing your own gear, consider shipping your skis and poles or board to your hotel ahead of time rather than traveling with it. There’s also 24/7 ski and board check for your convenience. Make sure you book any ski/snowboard rentals or lessons ahead of time to guarantee availability. Start Packing For Your Winter Vacation in Lake Tahoe Today! 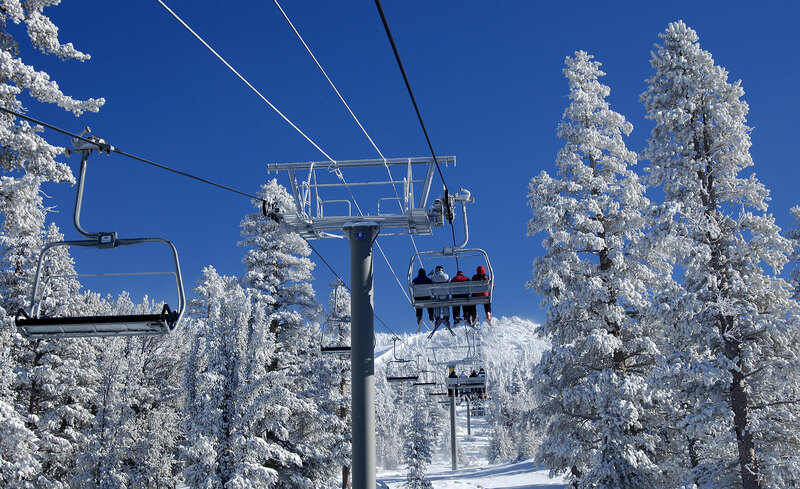 If you’ve already booked your ski trip to Lake Tahoe, great! We can’t wait to see you out on the slopes. Download our complete packing list to help make sure you have everything you need for your epic adventure. If you haven’t planned your trip yet, what are you waiting for? Lake Tahoe Resort Hotel is located right in the center of some of the best skiing in the world. Check out our Winter Wa-HOO special for the best rates and come play with us!